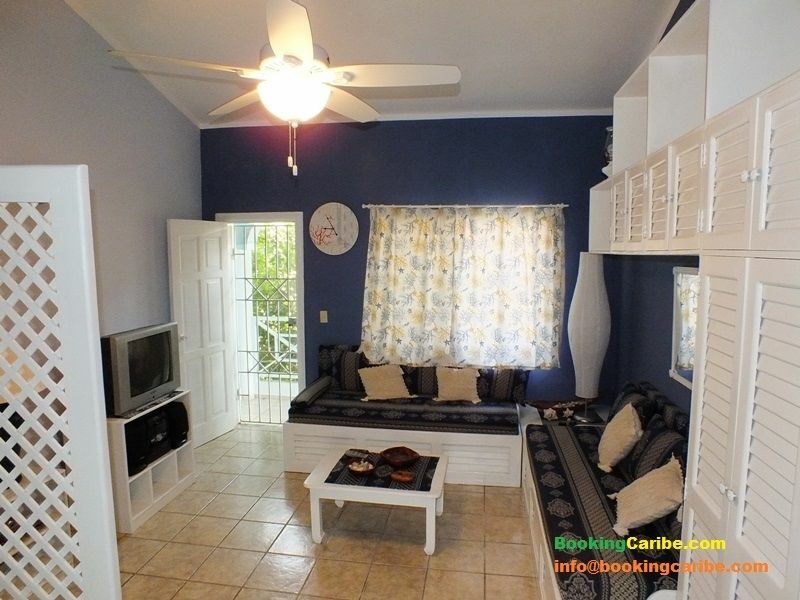 Super nice family apartment located on the first floor of the villa. The apartment is approximately 110sqm + 40sqm terrace with bbq, table up to 12 seats, wicker furniture. The apartment consists of large living room with 2 sofa beds, fully equipped kitchen, bookcase, hallway, two double bedrooms, 2 bathrooms with shower, ceiling fans, cable TV, safe box, door and window security grilles, insect screens. UTILITIES 25 PER WEEK FOR STAYS LONGER THAN 7 NIGHTS TO BE PAID CASH UPON ARRIVAL.